Labour can resolve its anti-Semitism crisis quickly, John McDonnell has said, insisting Jeremy Corbyn’s views on Israel have been “misinterpreted”. The shadow chancellor told the BBC that the party should accept in full the International Holocaust Remembrance Alliance guidelines on anti-Semitism, as long as free speech was protected. 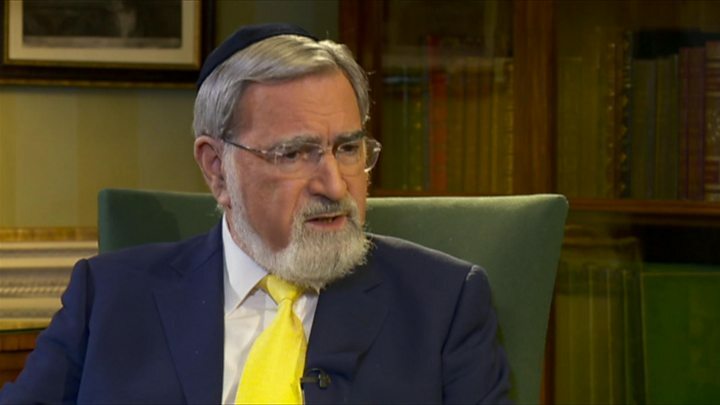 But ex-Chief Rabbi Lord Sacks said Mr Corbyn must also “repent and recant”. And ex-PM Gordon Brown said Labour must act now or undermine its values. Speaking at a meeting of Jewish Labour MPs in London, Mr Brown said the party needed to be “cleansed of anti-Semitism and racism”. The party has been beset by arguments over the issue throughout the summer, prompting ex-minister Frank Field to resign the whip on Thursday and others to threaten to do the same. John Woodcock also cited it as one of the reasons for quitting the party in July. What’s the difference between anti-Semitism and anti-Zionism? Claims that the leadership is failing to tackle anti-Semitism and, in some cases, condoning it came to a head last month when footage from 2013 emerged of Mr Corbyn saying a group of British Zionists had “no sense of English irony” despite a lifetime in the country. Labour MP Luciana Berger said it made her “feel unwelcome” in the party while Lord Sacks branded his comments as “the most offensive statement” by a politician since the late Conservative MP Enoch Powell’s 1968 Rivers of Blood speech. Speaking publicly for the first time since he made those remarks, the former chief rabbi told the Andrew Marr show he stood by his criticism of Mr Corbyn and suggested British Jews were considering leaving the country because of the prospect of him becoming prime minister. “Jeremy Corbyn must repent and recant as quickly as possible,” he said. “When people hear the kind of language that’s been coming out of Labour, that’s been brought to the surface among Jeremy Corbyn’s earlier speeches, they cannot but feel an existential threat. “I’m afraid that until he expresses clear remorse for what he said and what his party has done to its Jewish sympathisers, as well as its Jewish MPs, then he is as great a danger as Enoch Powell was. But Mr McDonnell said that while Lord Sacks had been “brutally honest”, he was wide of the mark, because Mr Corbyn had never solely blamed Israel for the conflict in the Middle East and had consciously distinguished between Zionists and the Jewish population in general. “I just say to Lord Sacks ‘you’ve got it wrong, come and talk to us’,” he said. He said the decision on whether to adopt the International Holocaust Remembrance Alliance guidelines in full, to be discussed on Tuesday, was a matter for Labour’s ruling body but he suggested he backed it personally. He claimed a solution was within reach that could “satisfy all sides” if Labour promised “full engagement” with the Jewish community going forward but members were able to continue to criticise the actions of the Israeli government within clear boundaries and the rights of Palestinians were also recognised. “I think we can resolve this fairly quickly, constructively and with good will, working together,” he said. Profile: Who is Frank Field? 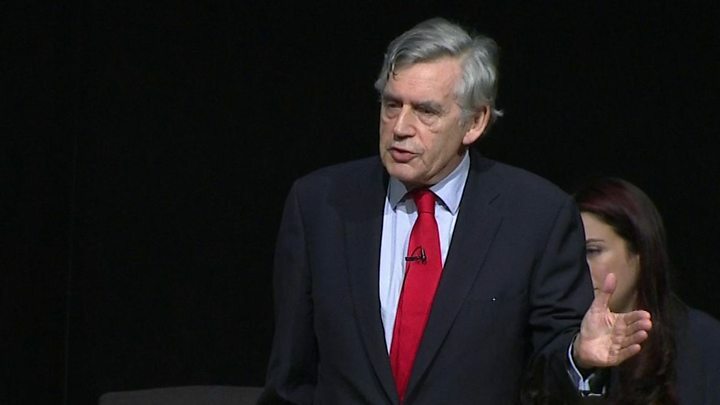 Speaking at a meeting of the Jewish Labour Movement, former Prime Minister Gordon Brown said the definition must be adopted “unanimously, unequivocally and immediately”. Warning about the rise in anti-Semitic attacks in recent years, he said the problem was not “abstract and theoretical but real and present and had to be dealt with now”. Labour, he said, had historically often been the “last line of defence against persecution and discrimination” in society and the party could not allow itself to be seen as the “first line of attack”. “It is not simply about a procedure. It is about who we are, what we stand for, what makes us tick and the soul of the Labour Party,” he said. “Anti-Semitism is a certain perception of Jews, which may be expressed as hatred toward Jews. The BBC’s political correspondent Iain Watson said Labour’s NEC was likely to adopt the definition but with caveats amid concerns about the stifling of “legitimate criticism” of Israel. Former MP Ivor Caplin, who is chair of the Jewish Labour Movement, said it and other groups were only prepared to have a dialogue with Mr Corbyn if he made it “very clear” that he would take firm action against anti-Semites in the party and others engaging in “bad behaviour” at a local level. 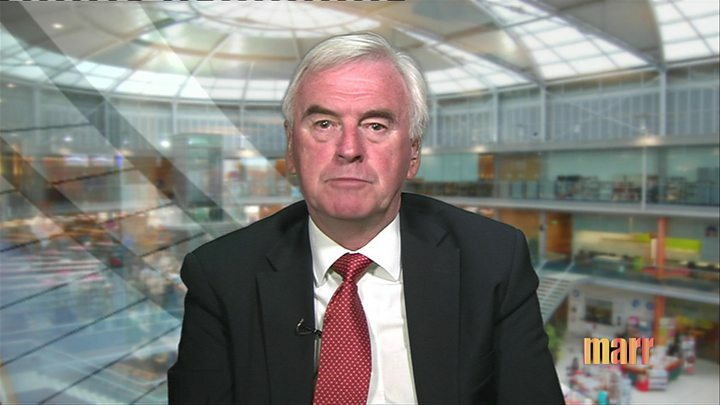 Amid growing warnings that Labour was facing a 1980s-style split, Mr McDonnell said the party must remain a “broad church” and he hoped Mr Field would “come back into the fold”. The Birkenhead MP, a former welfare minister, quit the Labour group at Westminster on Thursday over what he called the party’s “tolerance” of anti-Semitism and a “culture of nastiness”. While Labour MPs who resigned the whip should normally trigger a by-election, Mr McDonnell said in this case he did not want to “go anywhere near that” given Mr Field’s long service to the party.